Hello, smoky goodness. 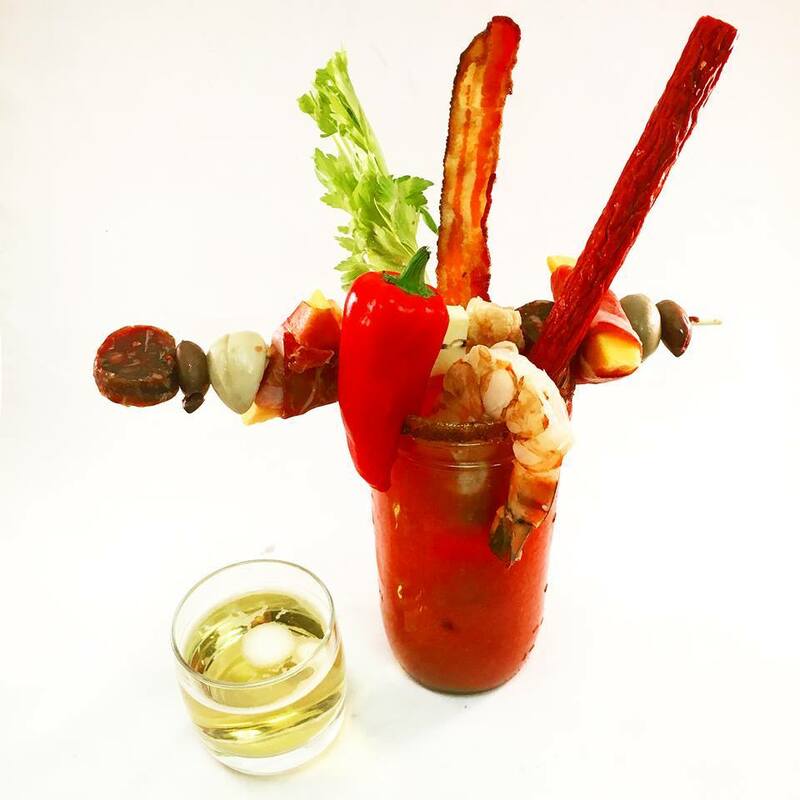 The Smoked Bloody Mary at Grayson’s Social features a deep flavors because blackened redfish seasoning and also bacon vodka. But, the over-the-top toppings hold their own with liquid portion of this stunner. 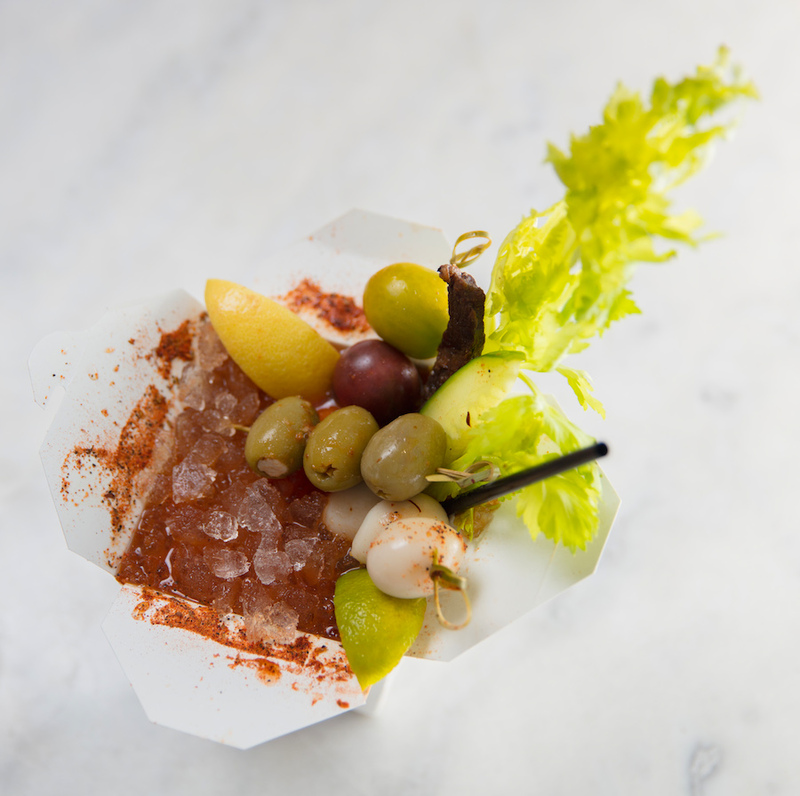 Crowned with celery, cucumber, blue cheese-stuffed olives, grape tomato, housemade pickled quail eggs, housemade beef jerky, and a lemon and lime wedge, it’s served in a hefty Chinese take-out container to contain all the yum. Make a reservation at Grayson’s Social. 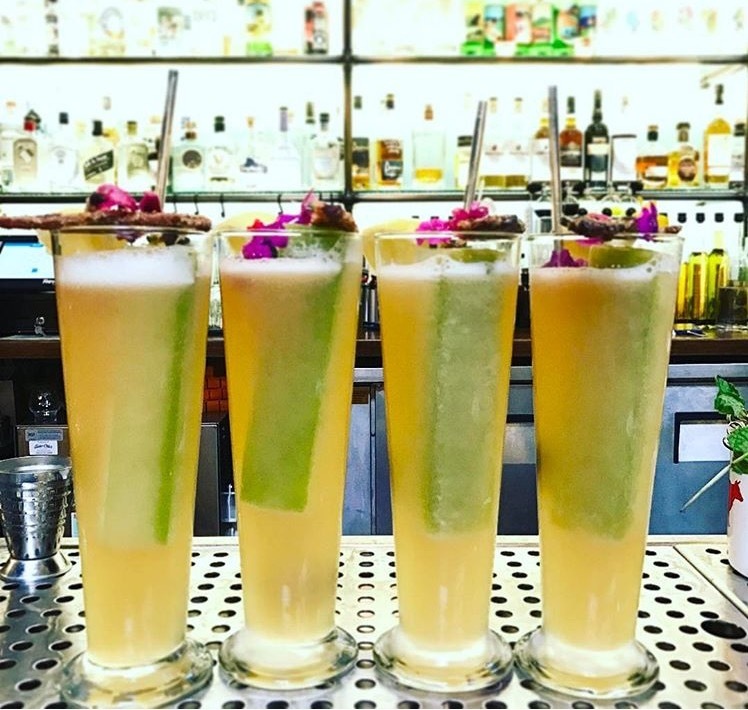 You’re going to want to go with the bottomless brunch option here (although a la carte ordering is also available) because there is a trio of delicious drinks from which to choose. 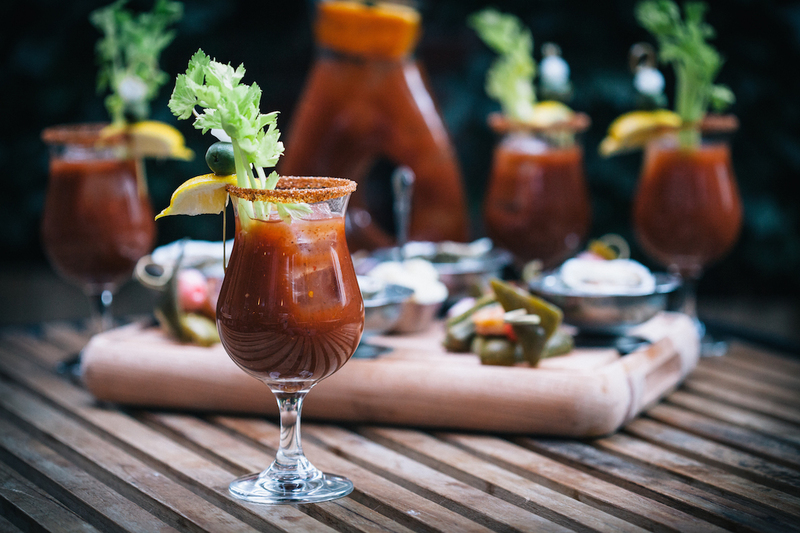 The classic, the Super Juice (which features carrot-tomato juice and ginger), Mary’s Envy, a mélange of roasted tomatillo-tomato juice garnished with chorizo and a queso fresco-stuffed piquillo pepper. Make a reservation at Charlie Palmer Steak. Mary Mary – why you buggin’? 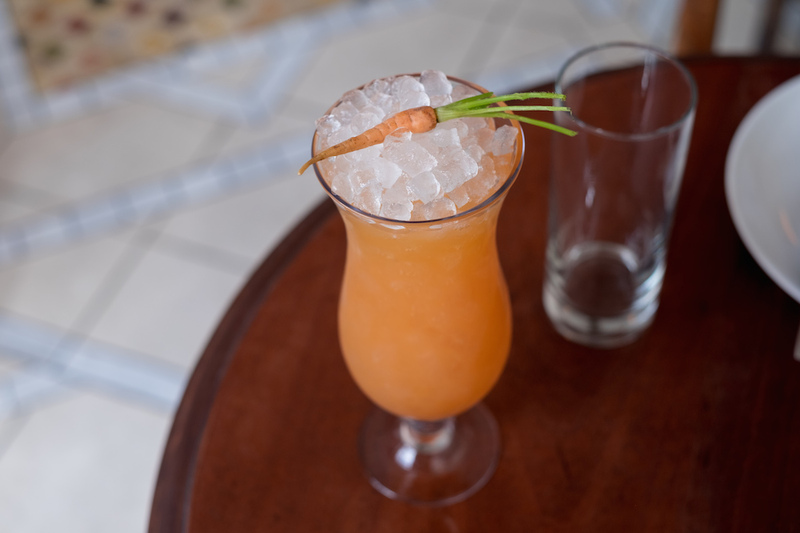 Not your typical red-colored Bloody Mary, this Thai-inspired cocktail served at NaiYaRa each Sunday is mixed with Espelon Silver, fresh yellow tomato, rice wine vinegar, cilantro, and lime. Garnished with a Thai bird chili, horseradish, and cucumber hamachi crudo, this drink is made to tantalize your tastebuds. Make a reservation at NaiYaRa. Pitcher this! 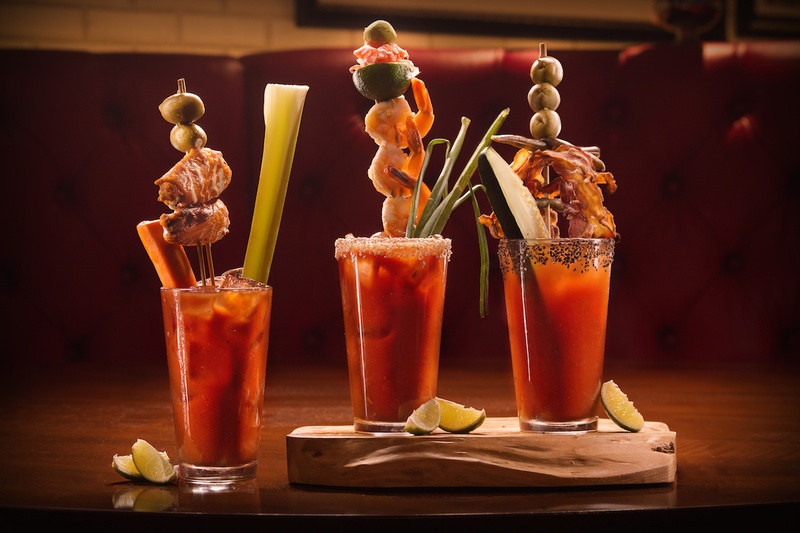 A Bloody Mary of epic proportions, meant for sharing (unless you’ve had a seriously tough weekend). 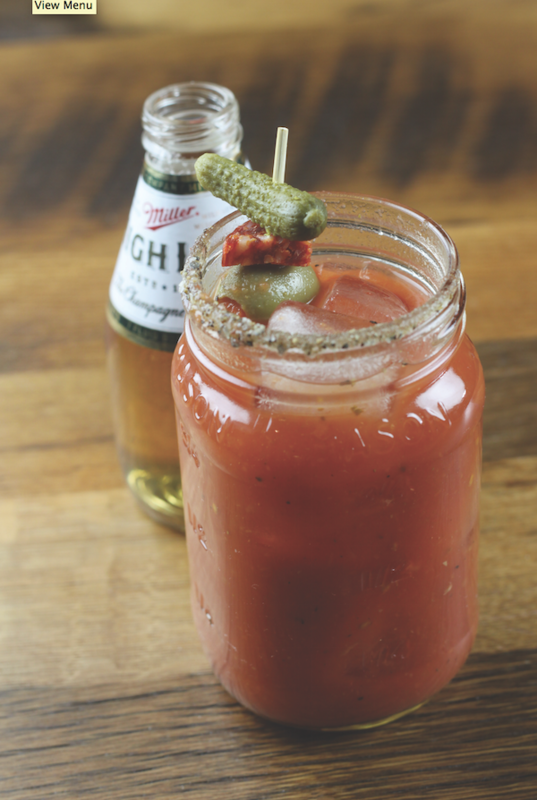 This mix is enhanced with a healthy proportion of pickle brine and grapefruit juice which brighten things up perfectly. Each guest receives their own personal garnish of skewers of scrumptious blackened Cajun shrimp, pickled okra, and pickled pearl onions. And did we mention everyone gets their own raw Island Creek oyster? Oui, s’il vous plaît! Make a reservation at Dirty French. 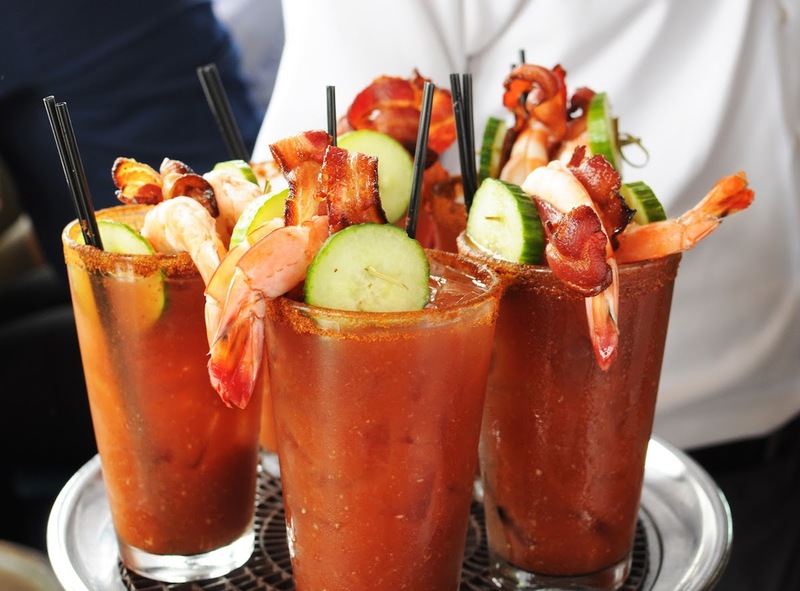 A combination cocktail and appetizer, Waterbar serves a decadent Bloody Mary, garnishing the drink with Old Bay seasoning on the rim, two whole slices of bacon, a jumbo shrimp a quarter the size of the glass, and cucumber. 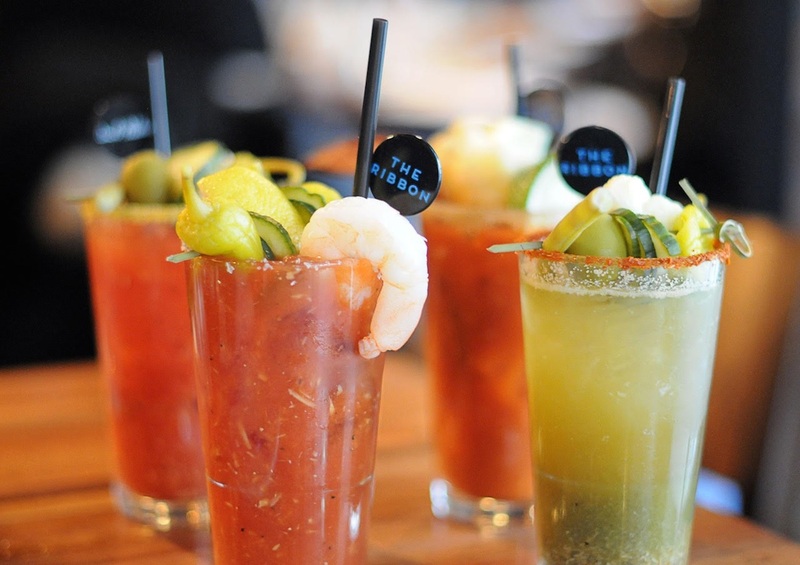 It’s $24 per drink, but trust us, you won’t leave hungry. Make a reservation at Waterbar. 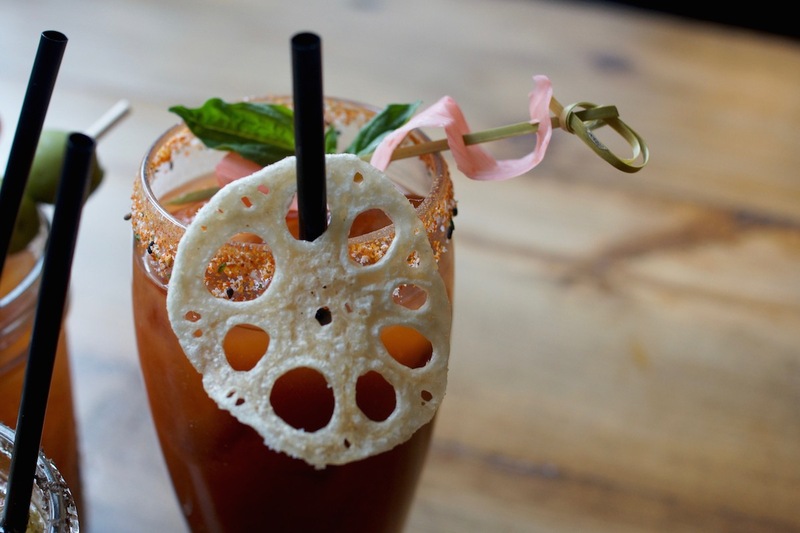 The exotic Pantera at Victor Albisu’s South American grill Del Campo combines housemade applewood-smoked tomato juice, Pisco, fish stock, horseradish, Worcestershire sauce, and squid ink. To enhance the flavor and help thin out the squid ink, bar manager Amin Seddiq heats it in a pan with lemon juice. 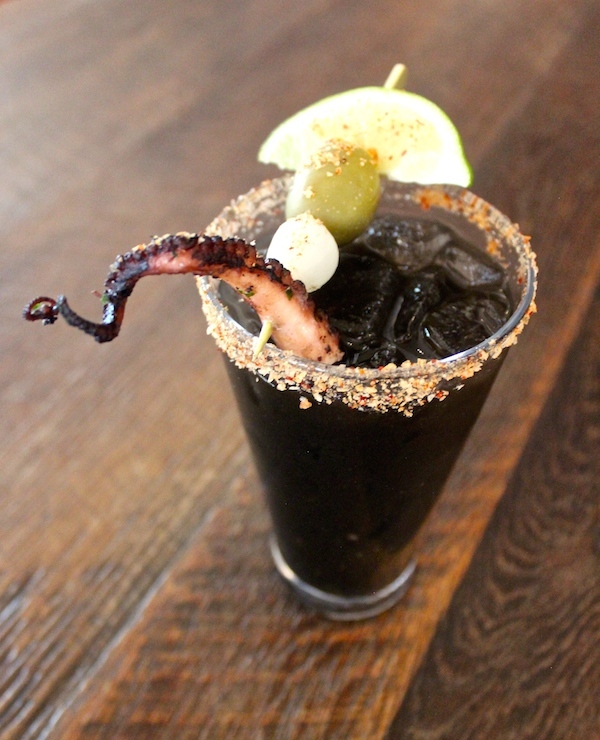 Emerging from the depths of this dark twist on the classic brunch cocktail is a grilled octopus tentacle. Sounds eerily delish, right? Make a reservation at Del Campo. If you let them build it, they will come. 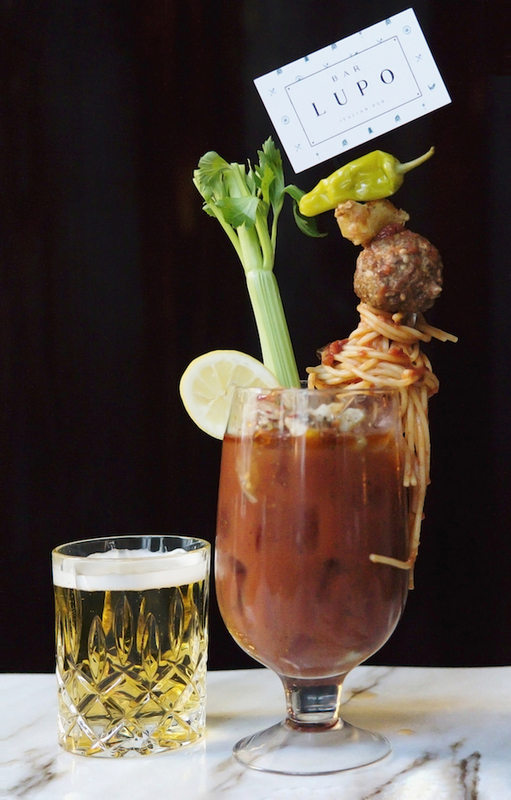 The folks at Siegel’s 1941 put you in the driver’s seat with add-on ingredients including cocktail onions, jalapeno, Sriracha, bacon strips, blue cheese-stuffed olives, and pickled green beans. Not in the mood to DIY? 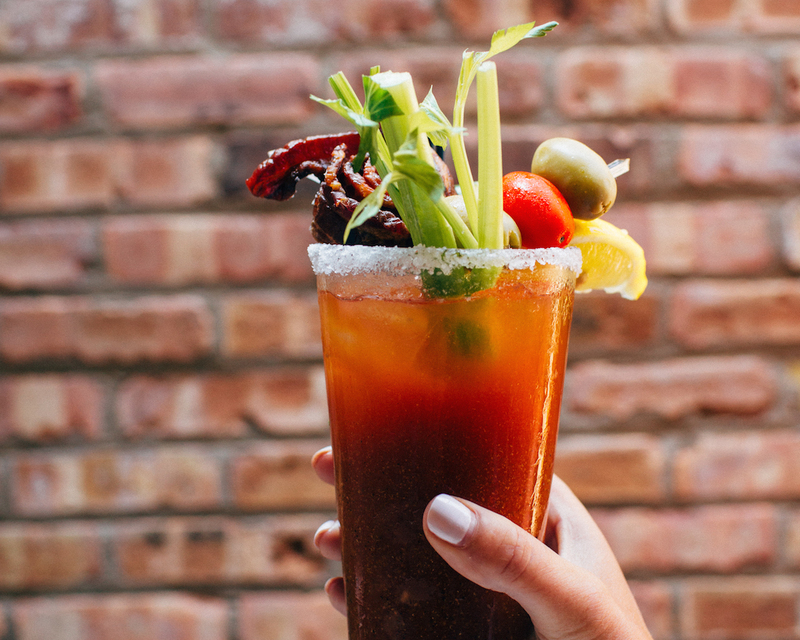 Check out the Buffalo Mary, made with seasoned tomato juice, Frank’s red hot sauce, carrot, celery, blue cheese-stuffed olives — and two Buffalo wings. Make a reservation at Siegel’s 1941. 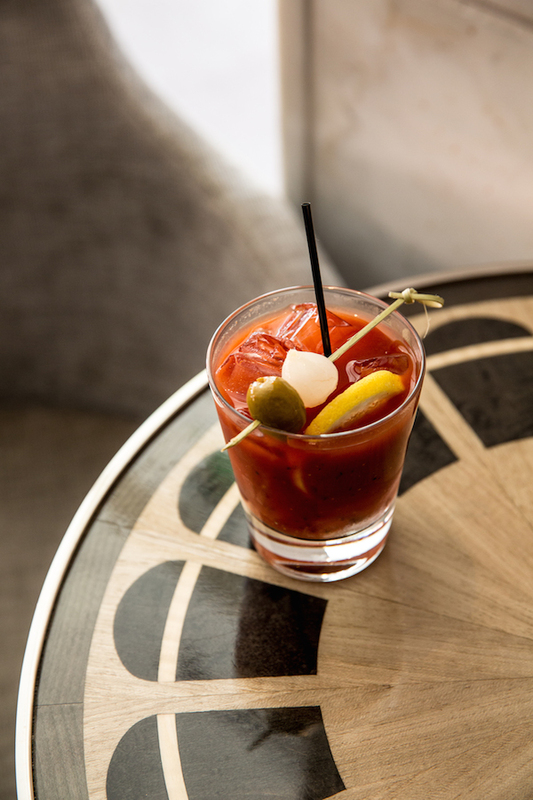 First created in 1934 at the original St. Regis Hotel in New York, the Bloody Mary is an indelible part of the St. Regis experience. Befittingly, each St. Regis Hotel presents its own interpretation of the original recipe. 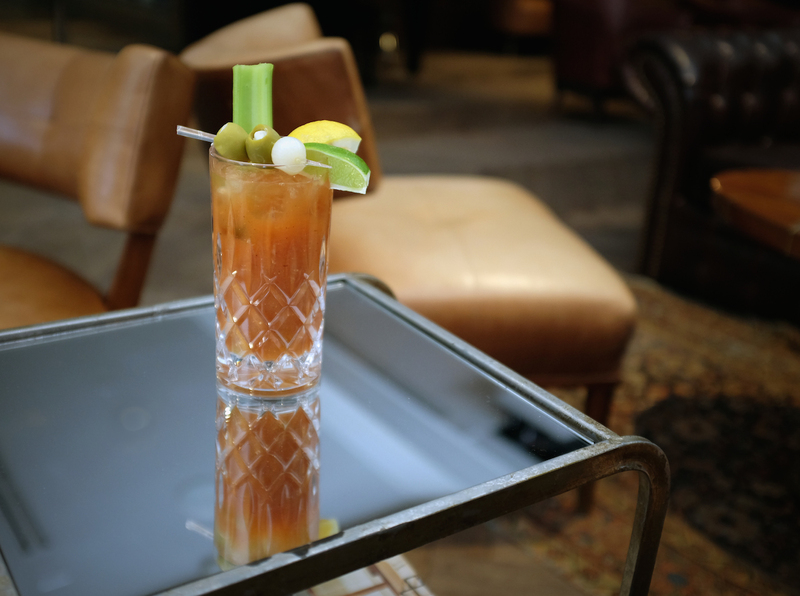 At the San Francisco location, it comes in the form of The St. Regis Red Snapper, and it’s forged from Belvedere Vodka, tomato juice, Worcestershire, lemon, Tabasco, black pepper, Cayenne pepper, celery salt, and whole peppercorns. Make a reservation at Grill at The St. Regis. 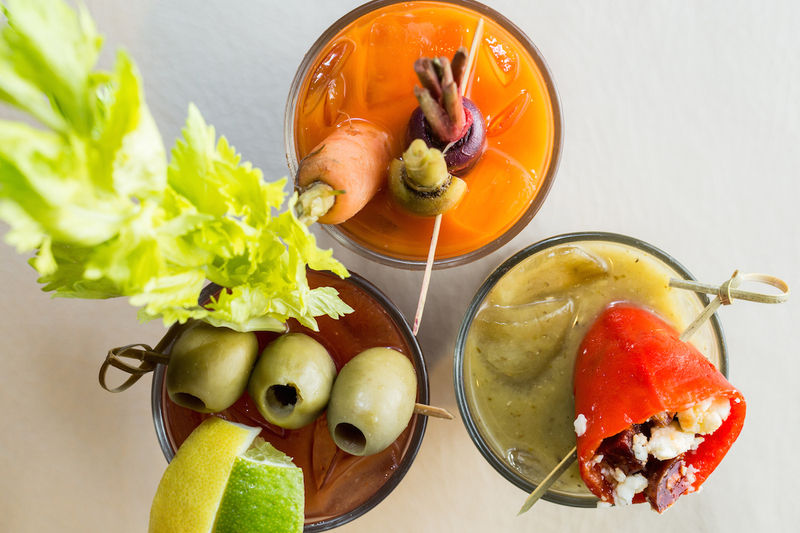 For $14, you can have access to the boss Bloody Mary bar at Kingsley, but dare to be different with The Green Bloody is a housemade concoction of green tomato, green pepper, parsley, cilantro and a kick of jalapeno. Pile on a variety of pickles, lime, lemon, bacon, shrimp, and crispy, fried chicharrones. Vodka is delicious, but we think tequila tastes even better. Make a reservation at Kingsley. Porto’s blends its bright housemade mix with sumac and citrus juices with their own hot sauce to kick things up. But this is no ordinary hot sauce. It’s crafted from Fresno peppers that have been fermented for 45 days and a marinated olive oil brine infused with herbs, lemon oil, and garlic. 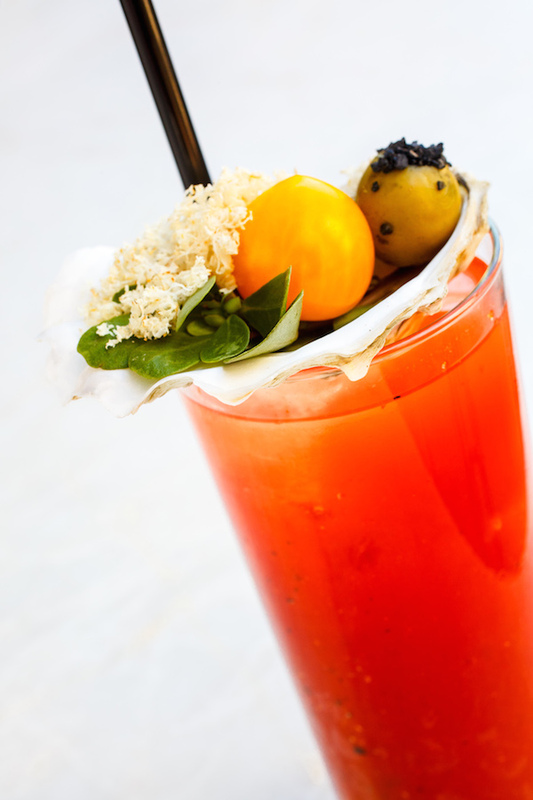 Garnished with an oyster shell carrying a rotating selection of garnishes, including freshly grated horseradish, tomatoes, olives, and black sea salt, this drink boasts many layers of delicious flavors. Make a reservation at Porto. 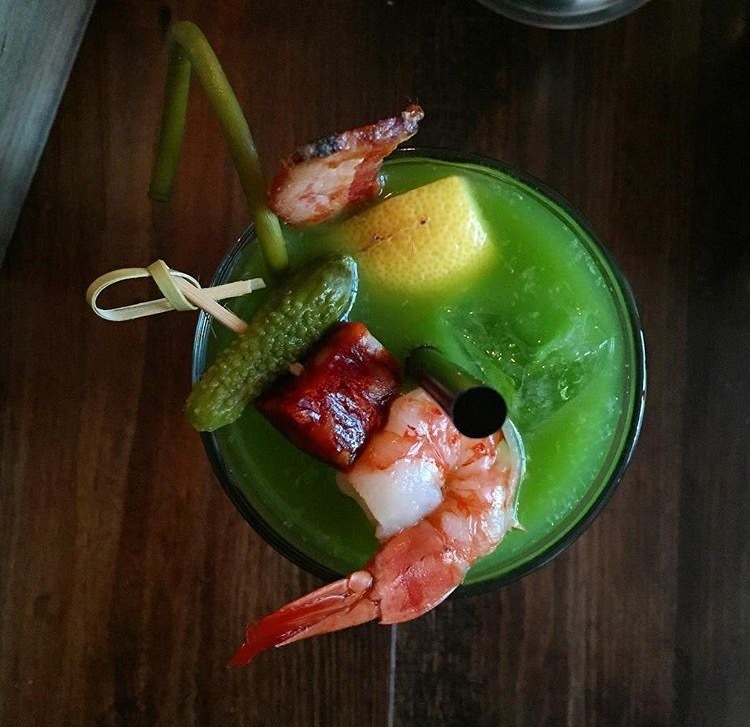 At Peruvian-inspired Tanta, the Bloody Mary created by beverage director-general manager Tomy Lokvicic gets a pisco twist. Additionally, the drink’s hangover-easing powers are upped with a dose of Tanta’s housemade leche de tigre, better known as the citrus-spiked liquid used in the restaurant’s signature cebiches, known throughout South America for killing the pain for last night’s indulgence. Plus, there’s a shot of heat from Peru’s aji rocoto, a spicy, habanero-like pepper. Make a reservation at Tanta. 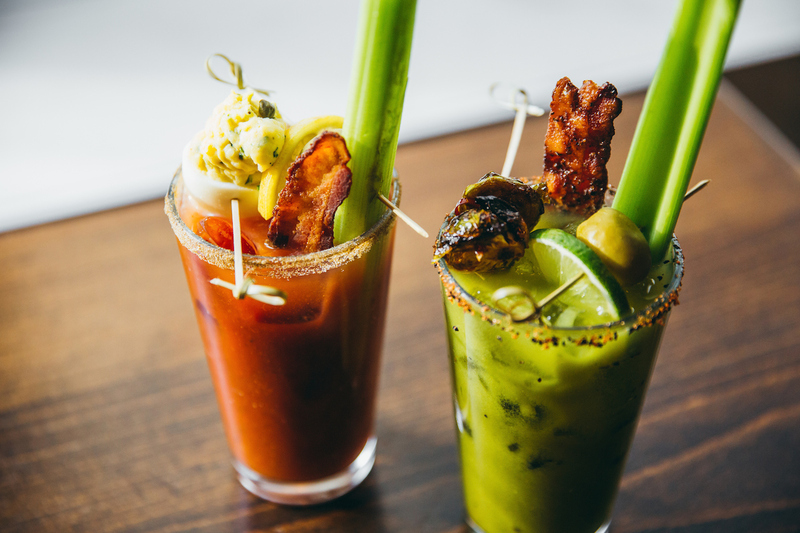 During weekends brunch at Saxon + Parole, the restaurant offers a DIY Bloody Mary bar curated by head bartenders Masa Urushido and Maxime Belfand. 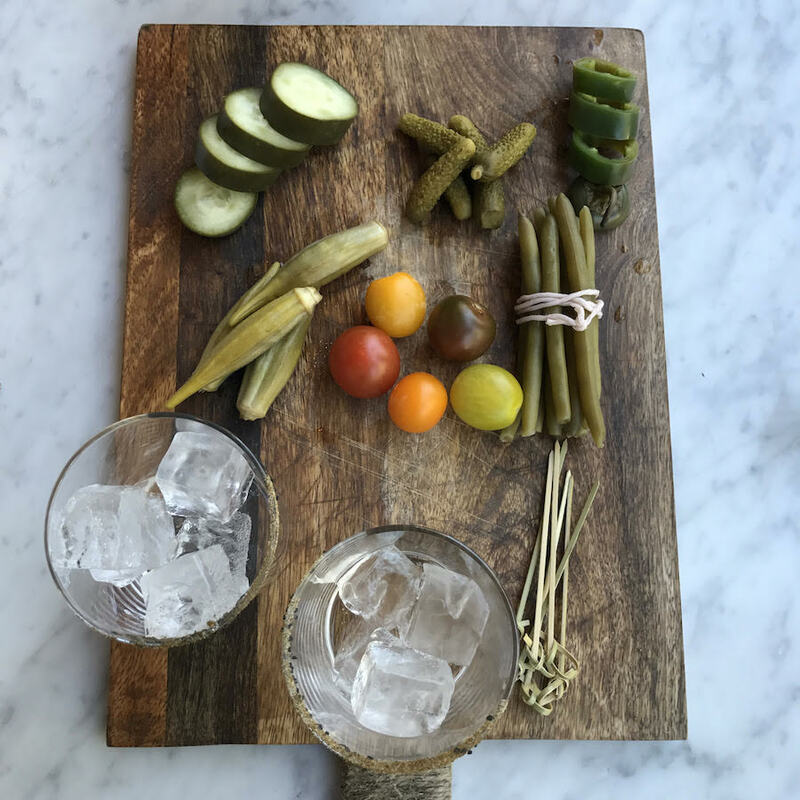 Grab a glass of housemade tomato-veggie juice (tomato, carrot, cucumber, red pepper, and celery) and then get yourself garnishing with everything from pickled beans and caperberries to fresh cherry tomatoes and bunches of basil. It’s a verdant way to start a weekend day. Make a reservation at Saxon + Parole. Seems like everybody’s got a secret these days. 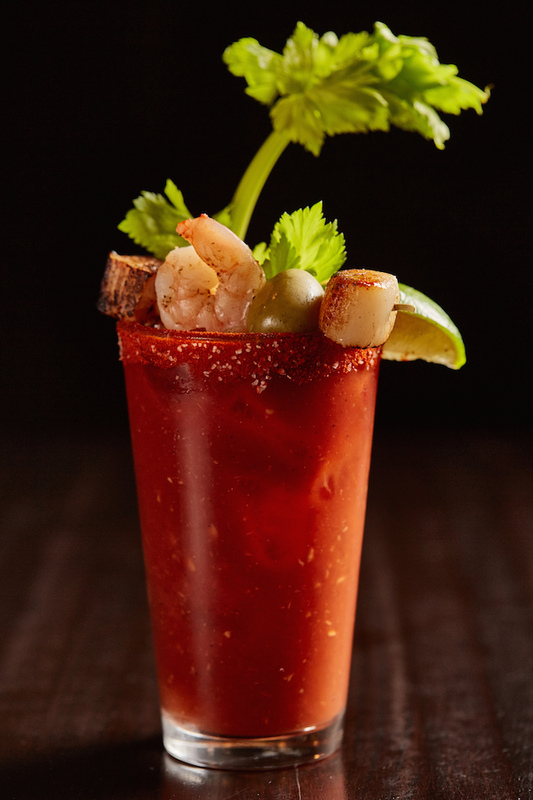 This classic-meets-contemporary steakhouse in the City of Angels makes their Blood Mary mix in house by broiling carrots, jalapeños, onions, celery, and tomato, which is all juiced and blended with fresh tomato, Worcestershire, horseradish — and their secret sauce. 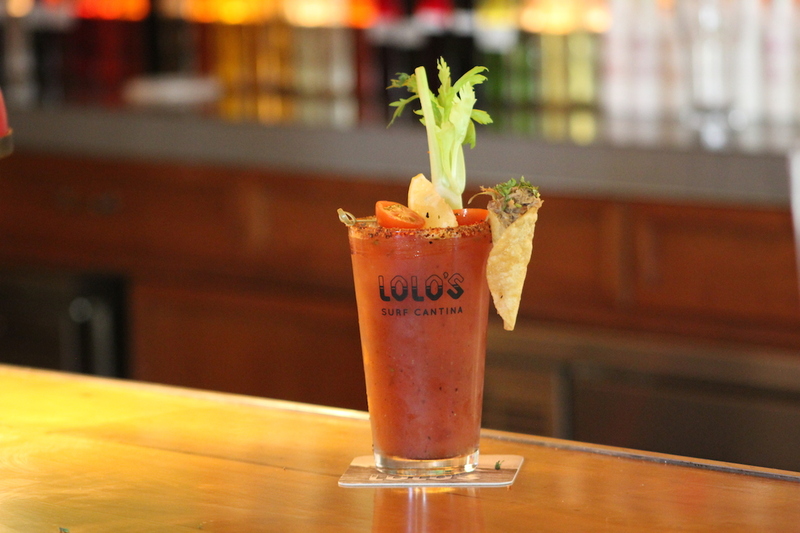 Tito’s Vodka is added before the drink is topped with Maytag blue cheese-stuffed olives, a basil leaf, celery, and a pearl onion. Make a reservation at Baltaire. 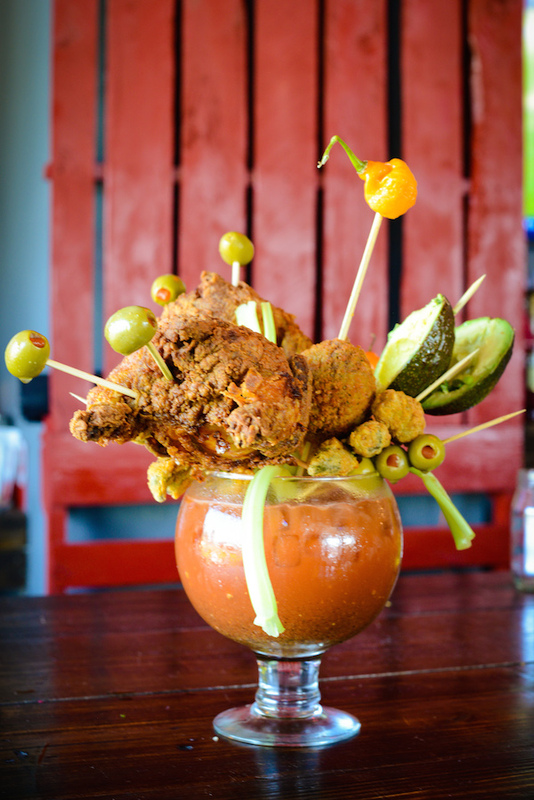 This University Height’s hotspot is known for their standout cocktails, and their Bloody Mary is no exception. 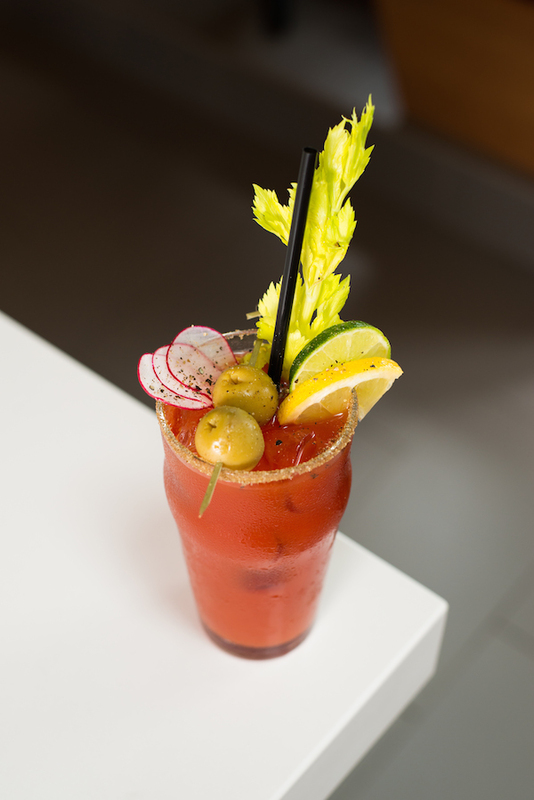 Elegantly and expertly blended by Milwaukee-based mixologist Dan Dufek with just the right proportions of house mix, vodka, lemon, olives, celery radish, and coarse peppers, this drink is a great match for the Cali-Med inspired, fun brunch items. Make a reservation at Madison. Yo! Check out this Asian twist on this beloved brunch staple. The Yokohoma is made with tomato, shochu, sake, wasabi, miso, ginger, and mirin – and, seriously, doesn’t that sound like all kinds of good for you – especially at just $10 a pop. Make a reservation at Eden. You may be hurting, but clear your head long enough to choose from three different types of house-infused Russian Standard vodka. 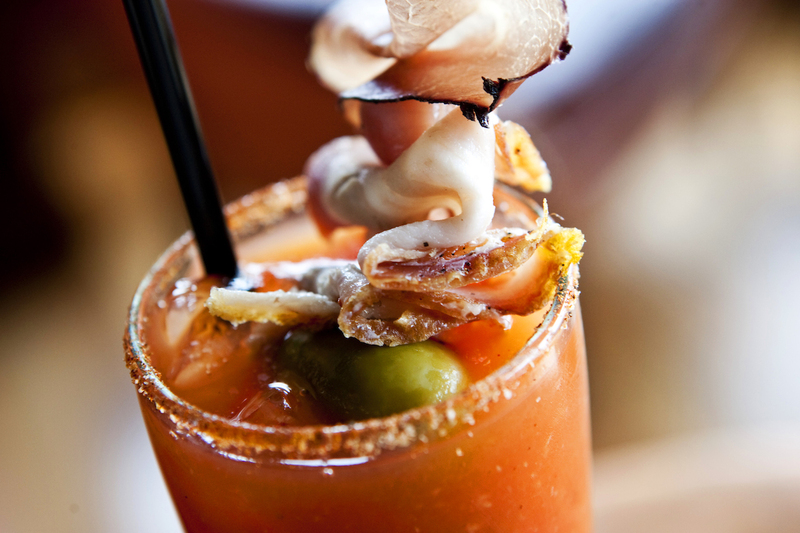 Whatever you pick, it’s mixed with housemade San Marzano tomato juice. The glass is rimmed with salt, pepper, spices. 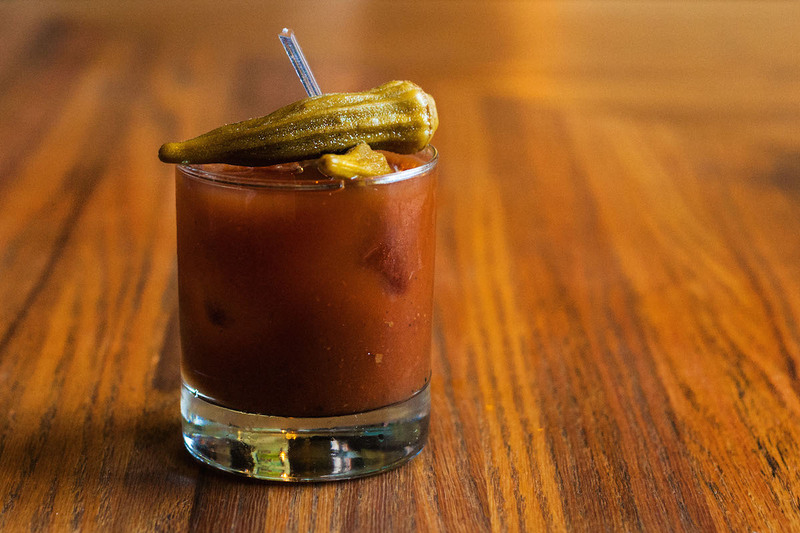 And, every Bloody Mary comes with a garnish of Spanish chorizo sausage, an olive, and a cornichon pickle. A Miller High Life grenade is a (spoiler alert) complimentary surprise. Make a reservation at The Pearl. They take their cocktails seriously at Spencer’s. 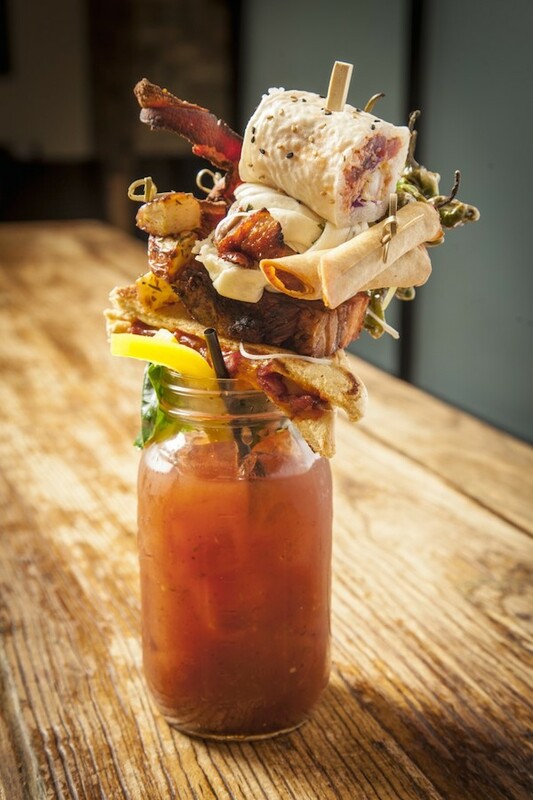 Case in point is the Spencer’s Bloody Mary, which takes 48 hours to create. Sous vide intensifies the flavor, and the ingredients are strained over and over again through cheesecloth. 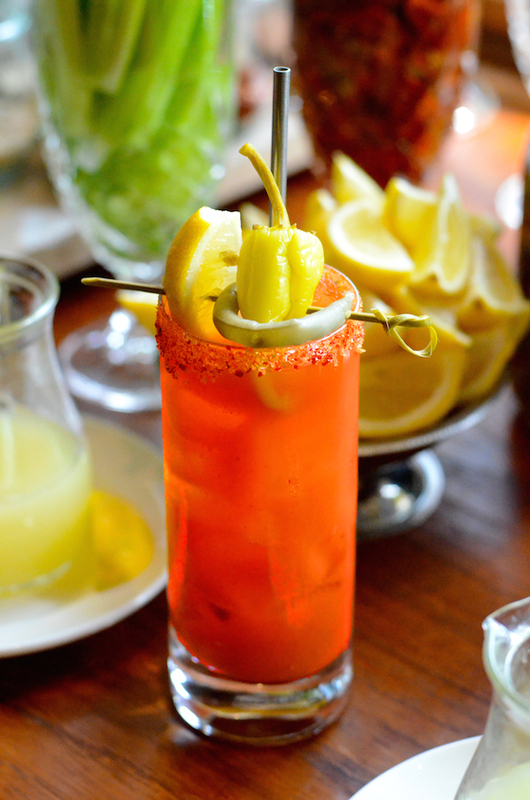 The “Tomato Pepper Ice” continues to flavor the cocktail as it melts. 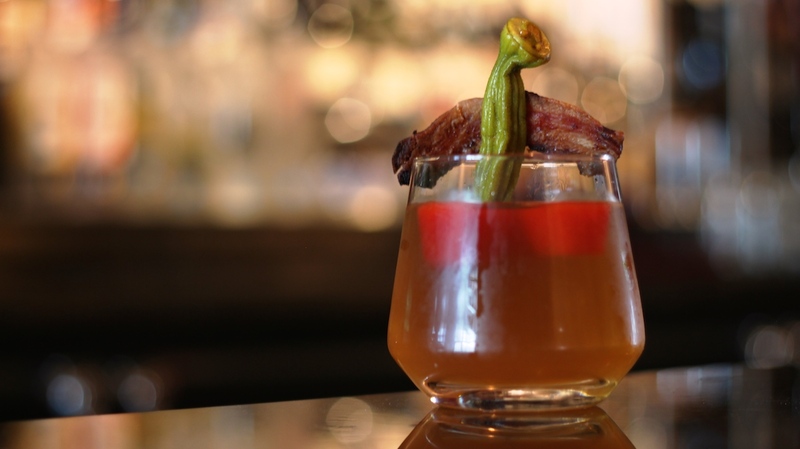 Bacon and pickled okra top things off. Make a reservation at Spencer’s for Steaks and Chops. 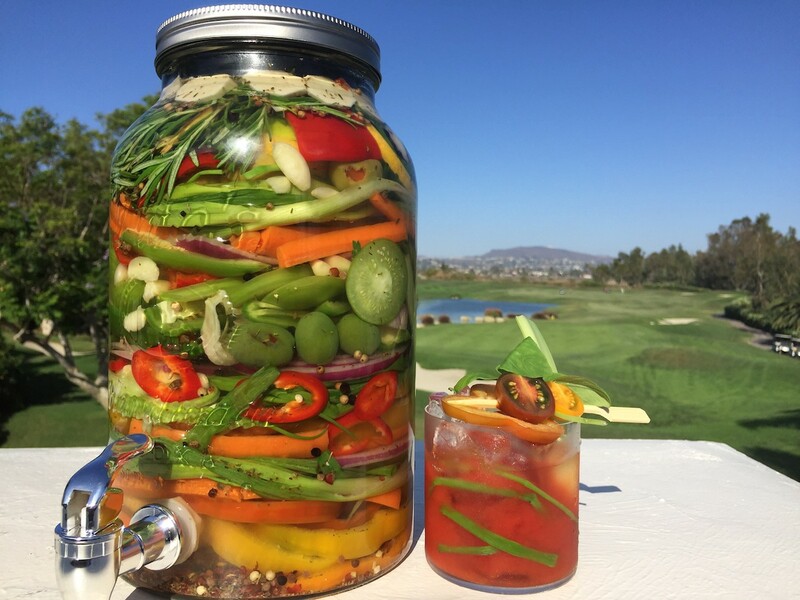 At Belcampo Santa Monica, bartender and mixologist Josh Goldman takes two days to craft his house Bloody Mary. 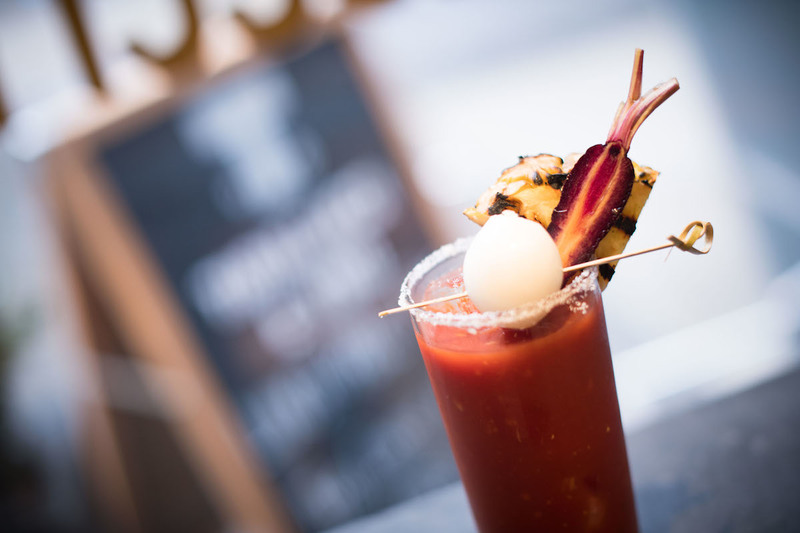 He starts by making clarified tomato water, then infuses vodka with cooked and uncooked Belcampo bacon, porcini mushroom power, and cracked black pepper. 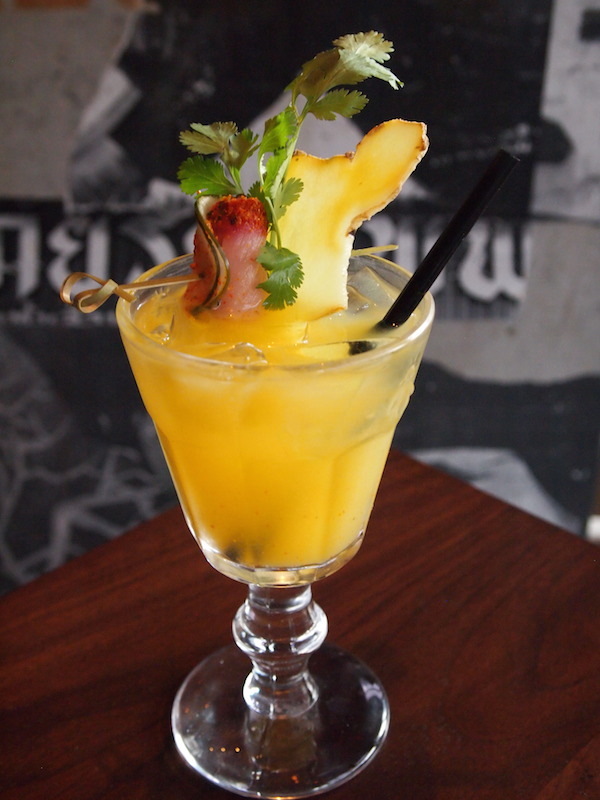 Lemon juice, a celery ice cube, candied bacon and a lemon wedge bring it all together. Make a reservation at Belcampo Restaurant. 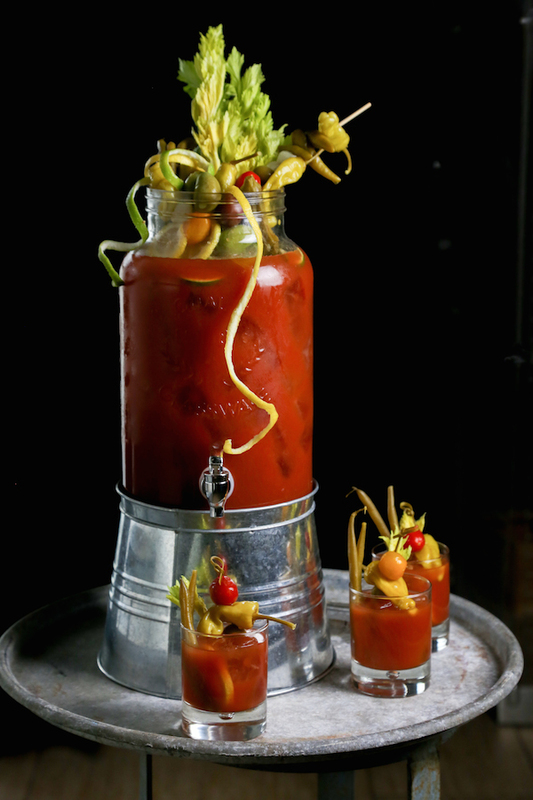 What are some of your favorite Bloody Marys? Let us know here or over on Facebook, G+, Instagram, Pinterest, or Twitter. And, remember to snap + share your #dishpics with us on Instagram for a chance to win in our weekly giveaway. Photo credits: Tara Thompson (Party Fowl); Alycia Rock (Bar Lupo); Cameron Mitchell Restaurants (The Pearl); Anjali Pinto (Cafe Ba-Ba-Reeba!, Beatrix); Matt Simpkins (Tarallucci e Vino); Maggie Marguerite Studio (Charlie Palmer Steak); Randy Schmidt (Argyle Steakhouse); Galdones Photography (Tanta); Lyudmila Zotova (Madison on Park); Alessandria Struebing (Holeman-Finch); Anthony Mair (Siegel’s 1941); @hot_on_a_dime (Kingsley); Aubrie Pick (EPIC); Ezra Pollard (21 Greenpoint). Check out Vivio’s in Detroit, you won’t be disappointed. Bill’s By The Beach in Gulf Shores,AL. is definitely one not to be missed. 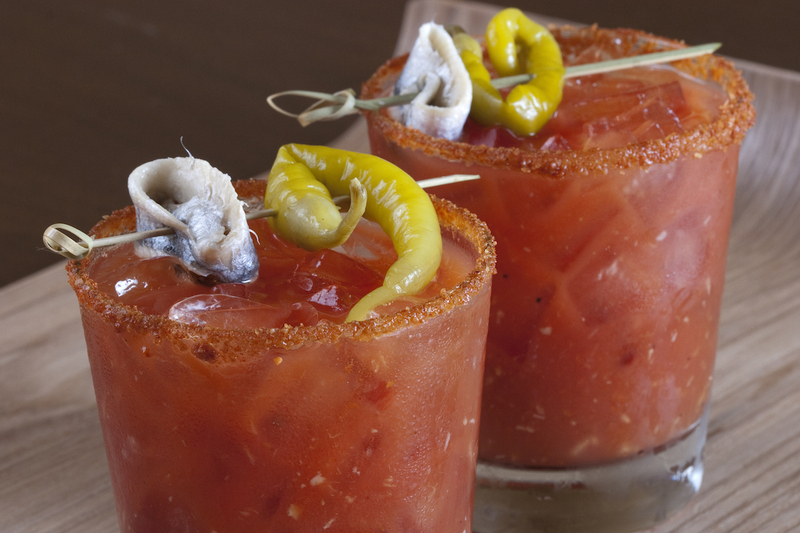 I cannot believe you didn’t review a restaurant/bar in Wisconsin where the Bloody is a must.